Use the same strategy and tactics that successfully stopped a billion dollar toxic aerial assault in 2007. The primal role of art in awakening and liberating the soul of humanity. 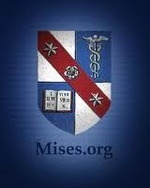 USGovernmentRevenue.com gives you a penetrating look at government revenues in the United States. Of course, federal revenues are the most important; but you can also look at state and local government revenues. Our mission is to help you build wealth in ways that build real wealth in the wider economy. We believe that personal and family wealth is a critical ingredient of both individual freedom and community health and wealth. FTW will provide the essential services necessary to implement planet changing projects and then use the profits from these projects to fund other humanitarian projects that help the needy and heal the planet. Amer-I-Can is a national program and movement, created by NFL great Jim Brown, to empower individuals to take charge of their lives and achieve their full potential. Welcome to Unified Community.info, a free flowing content driven metasite on the wide-ranging theme of sustainability. It provides an informational networking hub of knowledge and communication. Positive. Inspiration. Solutions. Learning. Sharing. Connecting. Helping. Growing. This is just a little bit about what this website is here to do. There is so much positivity going on in the world now you are able to see more of it all going on. Girl Rising is a global campaign for girls' education. We bring together visionaries: girls, women, boys and men who know that educating girls is the smartest investment of our time. Girl Rising journeys around the globe to witness the strength of the human spirit and the power of education to change the world. Charlotte Thomson Iserbyt, former Senior Policy Advisor in the U.S. Department of Education, blew the whistle in the `80s on government activities withheld from the public. At Last – An Award–Winning Teacher Pulls Back the Curtain to reveal the actual "Fourth Purpose" for which Mass Forced Schooling was conceived. 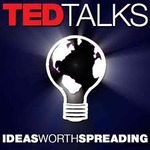 Video about project based learning. NHERI is the National Home Education Research Institute. NHERI conducts and collects research about homeschooling (home-based education, home schooling), and publishes the research journal called the Home School Researcher. Waldorf schools provide an alternative method of schooling that is geared toward the dedication “ to generating an inner enthusiasm for learning within every child.” Less emphasis is put on memorization and testing more on experiential learning. The unschooling movement is founded on the principle that children learn best when they pursue their own natural curiosities and interests. 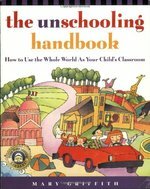 Unschooling ditches the idea of schooling altogether and supports each child’s natural interest to learn. 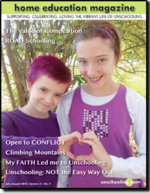 ““Unschooling” is a growing subset of the homeschooling movement that is not based on any particular curriculum. The aim of School in the Cloud is to spark creativity, curiosity and wonder in children and inspire them to take control of their own learning. 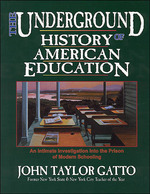 John Holt , a teacher and writer who advocated more humane classrooms and then, when he sensed such school reform was not really wanted by most people, became one of the founders of the homeschooling movement, which Holt originally called "unschooling." This award-winning film features nine unique schools, both public and private, California to East Harlem. In these unique schools relationship, creative thinking, and direct experience are valued above memorization of facts. The Leader in Me is a whole-school transformation model that acts like the operating system of a computer — it improves performance of all other programs. The Holistic Child’s Self-Regulation Program is more than a curriculum for understanding and increasing children’s self-regulation. 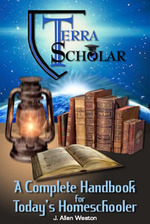 The Handbook is a digest of the best information collected from literally hundreds of books, articles and websites. 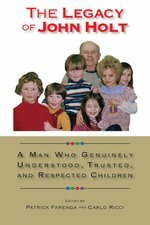 It represents a treasure chest of quotes encompassing the wisdom of dozens of experts on every aspect of homeschooling. The ‘Resisting the Culture of Schooling Series’ is dedicated to highlighting various ways in which people are creatively struggling against dehumanizing and exploitative Education and Development/Globalization. Short paper about the environmental, social, and economic costs of tar sand oil prodiction. This is a new paradigm legal document that anyone may file and use to help stop the war crime of geoengineering/chemtrails on earth. It utilizes the historic legal foundation of the One People’s Public Trust (OPPT) UCC filings that since late 2012 have foreclosed upon/dechartered all transnational corporations worldwide, including those of the corrupt global banking cartel, and all corporations masquerading as governments that serve it, lawfully freeing the people of this planet from all global slavery systems. It is suggested that anyone wishing to use this template adapt it to their own state of affairs, whether that be state, province, protectorate or nation, its legal/spoken language and customs, as well as doing their own research to give this action appropriate specifics that will endow it with both authenticity and authority. For best results, this legal action should be addressed to a named official of an alleged government agency supposed to regulate the issue being cited for remedy, concerning which this alleged government agency has failed to fulfill its function. Suspected perpetrators can be placed as parties being courtesy-copied at the bottom of the document, which can then be informally emailed to them. It could be officially filed by sending it via certified or registered mail to that named alleged government official, followed up by sizeable invoices against their personal assets if no remedy is offered. This will politely but forcefully put all offenders on notice that they are being held accountable for their freely chosen criminal actions, especially if they receive many of these targeted public interest courtesy notices. The OPPT Public Interest Courtesy Notice is a new paradigm legal action that utilizes spiritual awareness as a powerful tool for displacing all darkness on earth, empowering anyone who so chooses to take informed, effective, peaceful systemic action to protect this planet and all life upon her. Learn more about geoengineering/chemtrails and Rebecca’s legal filing; follow GeoEngineering Watch for latest news. Learn more about the One People’s Public Trust (OPPT); see also additional information including legal filings. 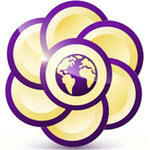 Join others to take action in the THRIVE Solutions Hub. This is a great resource for communities who want to make the transition to zero waste. Learn from communities around the world who are successfully making the switch to zero waste in Argentina, India, San Francisco, Spain, Philippines, Chile, Belgium and Taiwan. 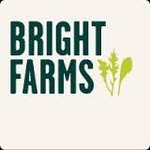 A great case study in opposing GMOs. This includes the history of the anti-GMO campaign in Vermont, a step-by-step guide for organizing your campaign, and sample resolutions. The Mt. Shasta community is working with the Community Environmental Legal Defense Fund and Global Exchange to ensure that residents of the city of Mt. Shasta can make governing decisions about their local water resources. 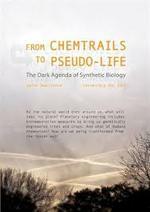 They have written a local ordinance that specifically prohibits corporate water extraction for resale and export and corporate cloud seeding (including chemical trespass of toxins from cloud seeding). This is an excellent example of how communities can re-write local laws to protect their water supplies and breathing air, and oppose corporate abuse. This fact sheet by the Center for Food Safety details the top agriculture commodities, organic sales, and GMO legislation and regulations passed in all 50 U.S. states. It’s a useful resource for anyone working on GMO issues, that need to know more about the biggest crops in their state and existing laws on GMOs. 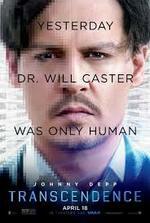 Discusses the dangers of giving authority over yourself to others. Defend Rural America is a bottoms-up movement to protect the rights and economies of rural counties and states. It is a complete package of educational materials, strategy, tactics, training, and organizing―all done at the county level. 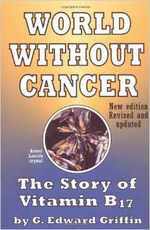 The War on Cancer set out to find, treat, and cure a disease. Left untouched were many of the things known to cause cancer, including tobacco, the workplace, radiation, or the global environment. 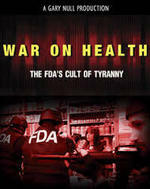 Reveals corruption within the pharmacuetical industry and the FDA. 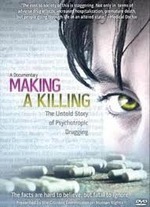 In this documentary we discover many effective forms of cancer treatment that have been suppressed and discredited for a long time by the pharmaco-medical crime syndicate and an organization called FDA. 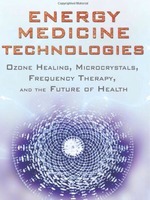 New and suppressed breakthroughs in energy medicine, ways to combat toxins and electromagnetic fields, and the importance of non-GMO foods. The Institute of HeartMath is a research and education organization dedicated to helping people reduce stress, self-regulate emotions and build energy and resilience for healthy, happy lives. The Fluoride Action Network (FAN) seeks to broaden awareness about the toxicity of fluoride compounds among citizens, scientists, and policymakers alike. Articles and resources exploring the dangerous of our ever expanding wireless technologies. Nearly 60 leading companies have condemned gestation crates, mandating better conditions for pigs in their pork supply chains. Click here for a complete list. And here is what just a few of them have to say. 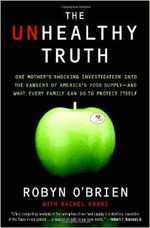 O’Brien confirms the toxicity of America’s food supply, and traces the relationship between Big Food and Big Money that has ensured that the United States is one of the only developed countries in the world to allow hidden toxins in our food. 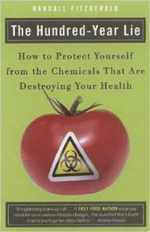 The biotech industry's claim that genetically modified (GM) foods are safe is shattered in this groundbreaking book. Sixty-five health risks of the foods that Americans eat every day are presented in easy-to-read two-page spreads. Mr. Griffin marshals the evidence that cancer is a deficiency disease like scurvy or pellagra aggravated by the lack of an essential food compound in modem mans diet. That substance is vitamin B17. 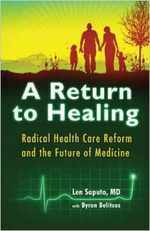 A rapidly emerging person-centered medical paradigm has catalyzed a renaissance in the understanding of lifelong wellness, and this timely book presents the inspiring story of this new medicine. The Alliance for Natural Health USA (ANH-USA)* is part of an international organization dedicated to promoting sustainable health and freedom of choice in healthcare through good science and good law. Association for Research and Enlightenment explores spirituality, holistic health, intuition, dream interpretation, psychic development, reincarnation, and ancient mysteries. Dr. Mercola's mission is to educate and provide simple inexpensive tools to help limit or avoid expensive and potentially dangerous drugs and surgery. 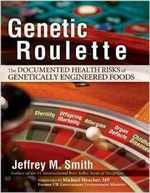 The leaders of Big Agriculture--Monsanto, DuPont, Syngenta--are determined that world's populations remain ignorant about the serious health and environmental risks of genetically modified crops and industrial agriculture. 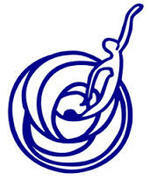 PMRI is a non-profit research institute investigating the effects of diet and lifestyle choices on health and disease. The California Coalition to Stop Smart Meters (CCSSM) is a new, non-partisan group of organizations and individuals helping to coordinate statewide efforts to inform residents about the risks of “smart” meters and the “smart” grid. The first project of the coalition has been to produce a professionally designed brochure presenting the truth about the “smart” meter rollout. You can download it for free and get more info here: http://stopsmartmeters.org/. 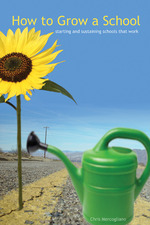 This report was put together by California activists who played an integral part in stopping an aerial spray program in California in 2009. This could be a useful template to others who are trying to stop the use of pesticides or aerial spray in their communities. More information and resources are also available at http://www.lbamspray.com/. 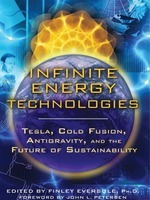 Clean, sustainable energy solutions from the geniuses of our past and the visionaries of our future. 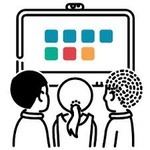 Our mission is to train, equip, and connect engineers, educators, architects, designers, business leaders, and other innovators to sustainably emulate nature’s 3.8 billion years of brilliant designs and strategies. The QEG is a crisp, clean, and modern device based on Tesla’s public domain design and built with incredible engineering precision. The QEG is portable, the size of an average home generator, can easily hook up to your existing electrical system. BlackLight has produced millions of watts of power in a volume that is one ten thousandths of a liter corresponding to a power density of over an astonishing 100 billion watts per liter. The US is the only industrialized nation that prohibits growing industrial hemp despite the fact that it’s highly profitable; can be used to make more than 25,000 products, including paper, fiber, plastics, textiles, and rope; and does not require the use of herbicides or pesticides to grow it. Many communities are aiming to make industrial hemp legal, which would benefit farmers, our economy, and the environment. Attorney Joe Marmon begins lawsuit against Shasta County California for ignoring chemtrail tests! This is a letter from Attorney Joe Marman who is suing the Shasta County Air Quality District. You can use it to state and enforce your Non-Consent for a “smart” / “advanced” / “AMI” meter, your demand for removal and to notify the recipients that they are liable – in their individual capacity – for all harm caused. A documentary about child traficcing in the US. 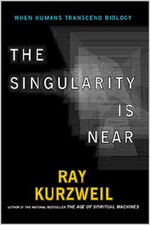 Two computer scientists work toward their goal of Technological Singularity, as a radical anti-technology organization fights to prevent them from creating a world where computers can transcend the abilities of the human brain. 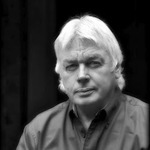 Alex is joined live from the UK by David Icke about the emerging trend of Transhumanism. Californians for Safety and Justice is a nonprofit working with Californians from all walks of life to replace prison and justice system waste with common sense solutions that create safe neighborhoods and save public dollars. Exposing the Meme that enslaves Society. 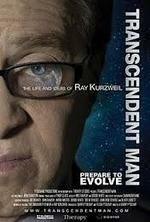 The compelling feature-length documentary film, by director Barry Ptolemy, chronicles the life and controversial ideas of luminary Ray Kurzweil. 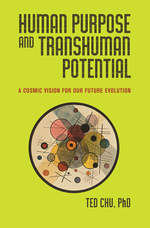 In Human Purpose and Transhuman Potential, a prominent economist declares that the “posthuman era has arrived”—and reframes the transhumanism debate with an original ethical vision. Through its win-win approach, Healing Our World illustrates how the rules of social interaction which we learned as children hold the secret to universal harmony and abundance. The Alternative News Project is created to provide a vehicle for like-minded, independent thinkers; to bring the news, every day, across the spectrum of hundreds of non-mainstream news Topics. 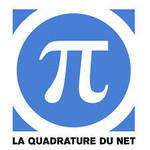 La Quadrature du Net is a non-profit association that defends the rights and freedom of citizens on the Internet. Private and Secure. Real Time Messaging, Calling and Email. From Iceland. My words are designed to inspire all of us to be who we really are, to fling open the door of the mental prison we build for ourselves and to walk into the light of freedom. An insightful assessment of the mainstream news, by Jon Rappoport. Kathlyn and Gay Hendricks are two of today's foremost relationship experts. 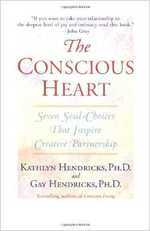 In The Conscious Heart, they identify the seven commitments that can transform from the inside out. 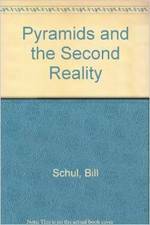 Explores the nature and power of the second reality, the forces at work inside pyramids, the alchemy of pyramid healing, and the uses of pyramid space. 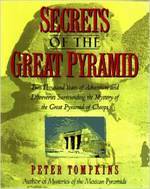 Recounts the fascinating discoveries made by explorers, adventurers, and scientists about the Great Pyramid of Cheops, including the stunning recent assertions that the ancient structure was used as a geometric tool to measure the outside world. The Meru Foundation was founded in 1983 to study ancient alphabets and texts from a modern mathematical perspective, with emphasis on their self-organizing whole systems. 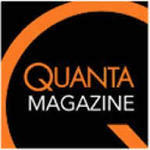 The Center for Quantum Activism seeks to educate, support and facilitate the transformation from the current materialist worldview to one based on the primacy of consciousness. This site started as a place for information on Dr. Walter and Lao Russell. This site is dedicated to the research of the American engineer Dewey B. Larson. It's purpose is to provide a research and discussion mechanism for Larson's works, known collectively as the Reciprocal System of physical theory, or the "RS" theory. The purpose of this website is to educate humanity about the Creator centered adn bounded Cosmology, Natural Science, Living Philosophy and Universal Law as taught by Dr. Walter and Lao Russell. 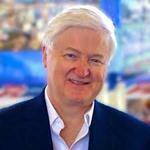 This website highlights the work of Arthur M. Young. Arthur Young was a mathematician and an engineer nda the elaborator of what may be the first theory that unifies consciousness, physics and the life sciences: the Theory of Process. An organization chartered to conduct research and education in the field of unified physics. Our team is dedicated to exploring the fundamental wheel works of nature to gain a greater understanding of universal dynamics for the betterment of all life. 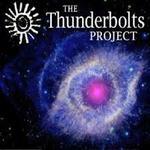 The Thunderbolts Project is an interdisciplinary collaboration of accredited scientists, independent researchers and interested individuals established in 2004. Its prime mission is to explore the Electric Universe paradigm. 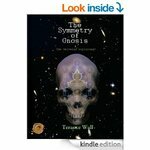 The Symmetry of Gnosis contains the idea that the universe is a fractal, a complex, holographic fractal, that evolves with time. 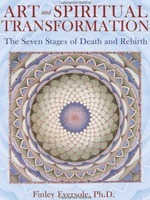 Following Fritjof Capra’s arguments in his Tao of Physics, this book seeks to implicate Western mysticism into theoretical physics by suggesting that the structure of space-time is defined by the Tree of Life. A Global Meditation for Peace On August 8, 2014 with Deepak Chopra, Gabrielle Bernstein, and Maya Tiwari. Sign up to be part of the global meditation event of the year and help set the Guinness World Record for the largest meditation gathering in history. 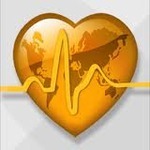 This article explains examples of data obtained from the Global Coherence Monitoring System site located in Boulder Creek, Calif., at the Institute of HeartMath Research Center. HeartMath's mission is to help people bring their physical, mental and emotional systems into balanced alignment with their heart’s intuitive guidance. Helping you become “who you truly are”. 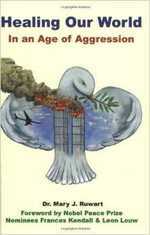 The power of peace-creating meditation groups to decrease war is analyzed. Time series analysis was used to test the hypothesis that Merseyside crime rate was reduced by a group practicing Maharishi Mahesh Yogi's Transcendental Meditation and TM-Sidhi program. Scientific research found that in cities and towns all over the world where as little as one per cent of the population practises the Transcendental Meditation Technique, the trend of rising crime rate is reversed, indicating increasing order and harmony. Can meditation change the world? More on the Maharishi Effect. Meditation can reduce crime rates. Source document for "Scientific Study Shows Meditators Collapsing Quantum Systems At A Distance" report. Meditators collapse quantum systems at a distance. Kototama Chant with Jack Wada. Mindfulness practices improve your health. Meditation causes changes in gray matter of the brain. Study shows the effects on the brain - even when not mediating. How meditation affects your brain. 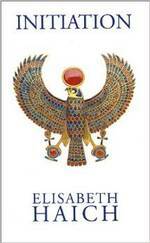 "Initiation" is an illuminating autobiography that connects the twentieth century European life of internationally beloved teacher Elisabeth Haich and her lucid memories of initiation into the hidden mystical teachings of the priesthood in ancient Egypt. 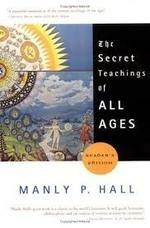 The following findings are a brief summary of the over 40 scientific papers which document the Maharishi Effect. 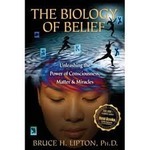 In this short essay we will look at some of this work as it relates to previously unexplainable "spontaneous" alterations to the genomes of living people - and the physiological and psychospiritual transformations that often accompany them. 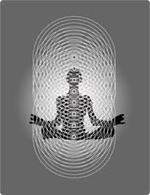 When a certain number of people meditate together using this technique, the energy field of the group created is able to affect the collective consciousness of others in a constructive manner- at a local, national and worldwide level. Lucy is one of the world's leading crop circle photographers. 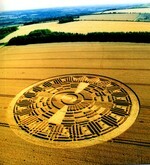 A database of crop circle photographs. One of the best documentaries ever produced on the question of an extraterrestrial connection to the crop circle phenomena. Exploring the mystery of crop circles. Patty Greer is one of the hardest working Crop Circle filmmakers today. Arguments against the hoax theory of crop circles. Dolan gives practical insights on how to distinguish and investigate UFOs in today’s world, where we are flooded with claims and videos and data of all types. 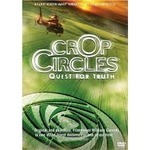 A website of resources related to crop circle research. 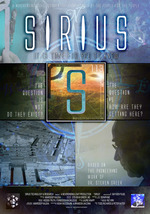 Released before DEC-21-2012, this uplifting film explores a 'positive' spiritual viewpoint regarding the significance of December 21, 2012 and beyond. 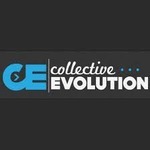 Collective Evolution (CE) creates content that engages us all to begin thinking consciously about what it means to be a human on the planet. An in-depth examination of the mile-wide, V-shaped light formations and craft witnessed by thousands of people in Phoenix and throughout Arizona on March 13th 1997. UFO buffs call it "the most documented unexplained mass sighting ever recorded." Richard's fantastic speech on the last day of the Citizen Hearing on Disclosure organized by Steven Basset in Washington DC, best 10 min summary on UFOs ever, way to go Rich! Steven Greer’s “Disclosure Project” has identified over 400 witnesses from the military and intelligence community who are willing to testify about their experiences with UFO and ET visitation. Mexico Ufo Encounter 11 UFO's The most famous sighting ever! This footage was filmed in 2004 over mexico by military personnel, they managed to capture on film this amazing encounter with upto 11 ufo's whilst flying in there aircraft.